Robert H. Miller from Lakeview, OH went with the Lord on Saturday, October 6, 2018 while at Huntsville Hospital, Huntsville, AL. Robert was born in Kenton, OH on June 25, 1959 to the late Max and Emma Wisse Miller. He was also preceded in death by his fishing buddies, Tommy and Tim Oakley. Robert is survived by his four loving children, Michelle (Joe) Oakley, Dan (McKaila) Miller, Jessica (Andy) Conover, and Staci (Justin) Powell, all of Lakeview, his life partner, Lorri Bryant of New Hope, AL, and her three children, Tracy, Travis and Tyler Robinson, 12 grandchildren, one great granddaughter, and a brother, Phillip Miller. He started at an early age teaching himself to be an outstanding entrepreneur. He owned and successfully managed Floyd’s Drive Thru in Lakeview until his retirement. When he followed his life dream of moving south to fish year-round. As a young boy he became passionate about fishing. There is no number high enough to describe how many times he cast his line in Indian Lake. Robert enjoyed fishing local tournaments including Acheson’s Bass Scramble, the Moose State Tournaments, and Cast for a Cure. He was avid with the Salmoides Circuit, where he always qualified for the classic. 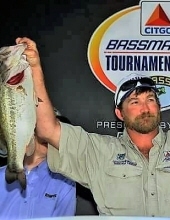 He lived his dream of competing in the ProAm Bass Masters Tour receiving 4th place at the Harris Chain of Lakes in 2003 and 2nd place at Lake Eufaula in 2004. He enjoyed spending time with his family and friends. He knew he was blessed with everyone near him. Robert was a wonderful father and grandfather, who instilled the values of honesty, integrity, and work ethics. He was very respectful and well respected by anyone he met. One would say that if Robert had a fishing pole in one hand and a dollar in his pocket, he was having a great day. In lieu of flowers, it is requested that individuals bring a fishing lure to be left with Robert. Funeral services will begin at 11:00 am, Friday, October 12, 2018 at Shoffstall Funeral Home, 205 S. Main St, Lakeview. Visitation is Thursday, Oct. 11th from 5-7 pm at the funeral home. Burial is in Walnut Hill Cemetery, New Hampshire, OH. Contributions may be given in his name to Cast for a Cure. To send flowers or a remembrance gift to the family of Robert H Miller, please visit our Tribute Store. "Email Address" would like to share the life celebration of Robert H Miller. Click on the "link" to go to share a favorite memory or leave a condolence message for the family.